How Do I Take Care Of My Puppy While I Am At Work? Taking care of a new puppy can be a challenging and time-consuming task, but the reward is most certainly worth it. Many people want to have a puppy but feel that they don’t have enough time to care for them. A job shouldn’t get in the way of you adding a new member to your family, you just have to make sure that the puppy is well taken care of in your absence. How long a puppy can be left on its own depends on its age, training status, and whether or not the puppy is crated. Puppies from 8-10 weeks old should be left alone for as little time as possible. Especially if you have just gotten the dog, it’s a good idea to consider taking some time off work to get acquainted with the dog or have someone come to stay with the dog. You should gradually have the puppy get accustomed to being alone for longer periods of time. Puppies that are alone for too long at this age can become very distressed. Puppies from 10-12 weeks of age are slowly starting to have a better bladder capacity, but they still need to be let out about every two hours. If you have to leave your puppy alone for this long, get a puppy pen or crate where he can be comfortable in a safe environment without getting into mischief. When they start to reach 3-6 months of age, your puppy will probably be able to last about three to four hours without needing to be let out. This is also the age many dogs start to become destructive, especially if they are bored. A puppy pen or crate might be a smart idea for them while they are home alone. Having to let your dog out every two hours can start to seem a bit overwhelming, particularly when you’re trying to schedule that in with a full-time job. 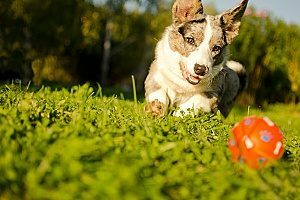 Below are some options that can help you work caring for your puppy into your busy schedule. Dog walking services can be the answer to just about all of your problems in this case. Local Paw Pals offers both dog walking and sitting services that can be customized to fit you and your puppy’s needs. They offer mid-day walks between the hours of 10am and 4pm. They can come for 15, 30, or 45 minute time periods to spend time with your dog. Not only can they let them out for a potty break and walk them, they can also give them fresh food and water, administer any medications that may be necessary, and give them the much-needed attention they desire. For a young puppy, the 30 to the 45-minute option may be the best so they can really get to know their dog walker and to decrease their alone time during the day as much as possible. For someone with a busy schedule, dog walking services can be the solution to keep you and your puppy happy. Local Paw Pals also offers a dog sitting service you can take advantage of. 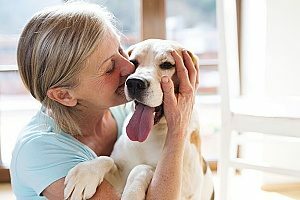 While it’s a good idea to stay with your puppy during the first six months of them being in your life, things can come up and you may have to go out of town. Maybe your job requires to travel occasionally. In these situations, their dog sitting services can come in handy. They have different options where a sitter can come for 30, 45, or 60 minutes to take care of your puppy and spend time with them. If you are worried about your puppy being left alone overnight, you can have a paw pals dog sitter come to stay in your home. Overnight stays are for a total of 12 hours and begin between 7-10pm. A 30 minute evening and morning walk is included. You can also schedule additional mid-day visits as needed. Taking advantage of all the service Local Paw Pals has to offer will keep your puppy happy and healthy while you’re at work. If you don’t have too long of a commute to work, then taking an extended lunch break to come home and spend time with your puppy is a great idea. This will give your puppy extra social time during the day, and allow you to let them out. This is a great option to use in conjunction with hiring dog walking services. You can schedule it so that some days you take a long lunch to come home and spend time with your puppy, and other days a dog walker comes over to take care of them. Puppies don’t like to be alone for long periods of time, but sometimes it’s unavoidable. To make up for this, make sure your spending as much or your morning, nights and weekends with your puppy. Taking them on a long walk in the morning can help ease some of their anxiety and stress while you’re away during the day. Spending quality time with them in the evenings and on the weekends can help you create an unbreakable bond with each other. Giving this special attention to your puppy will make times apart a little bit easier for both of you. Not only do puppies need their daily visit from the dog walker, but they also need toys to keep them entertained and occupied. Puzzle and treat-dispensing toys that are puppy safe are a great option because they can typically keep a puppy occupied for half an hour. Chew toys and plushes are also great. These toys can also help to tire out your puppy so they are less anxious, less energetic, and maybe they’ll even be able to nap away most of their alone time. Speak to Local Paw Pals to schedule your dog sitting or dog walking services. They can help make sure you’re puppy has a great day while you’re gone at work.